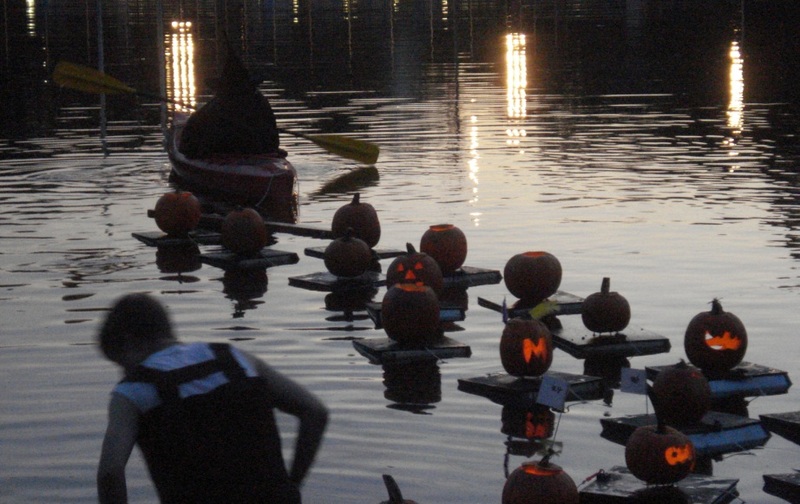 On October 23, 2011 I attended the Pumpkin Sail at Central Park. 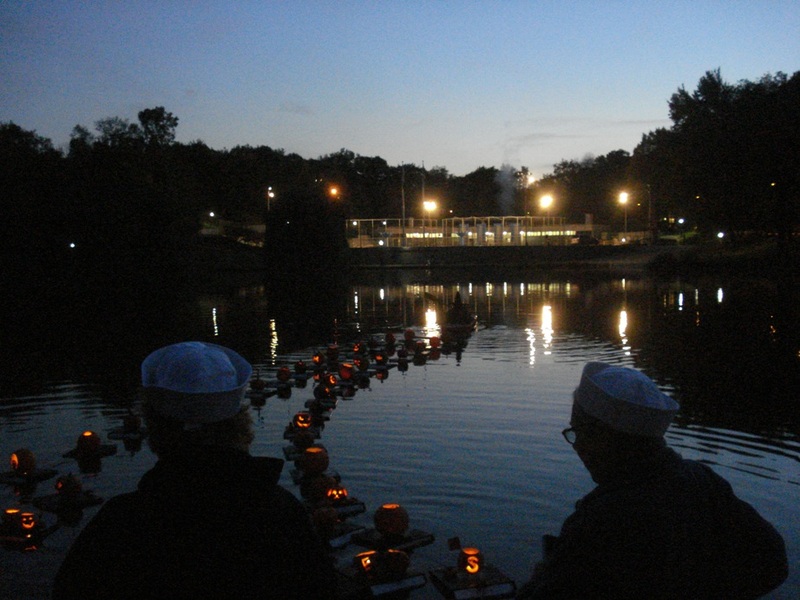 It was held at the Harlem Meer near the Charles A. Dana Discovery Center. 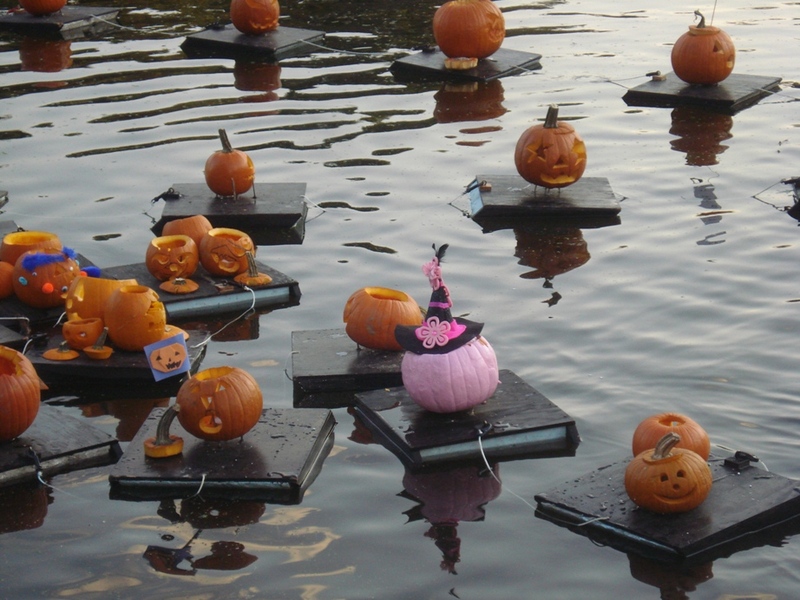 They take about 50 pumpkins on the sail. 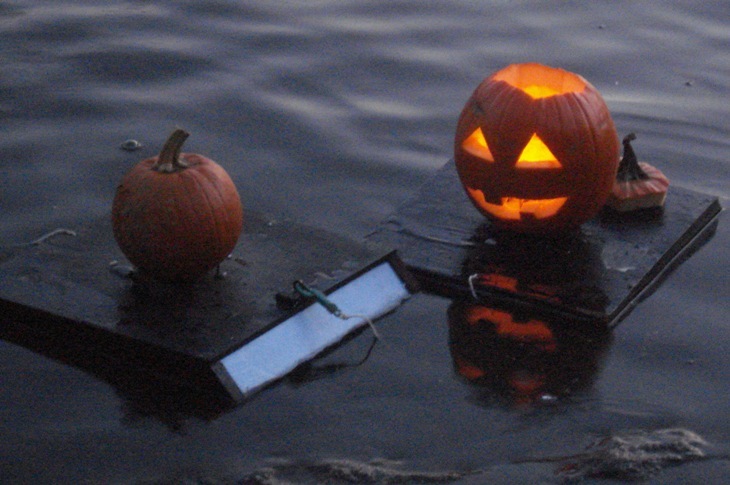 The carved pumpkin should be small (5 to 10 pounds) and arrive early to the launch area. 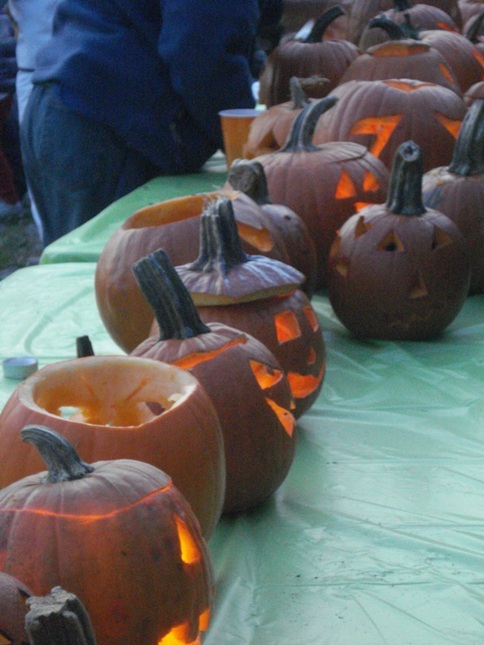 Pumpkins that arrive late, are too large, or are not eligible for other reasons are placed on tables for display. 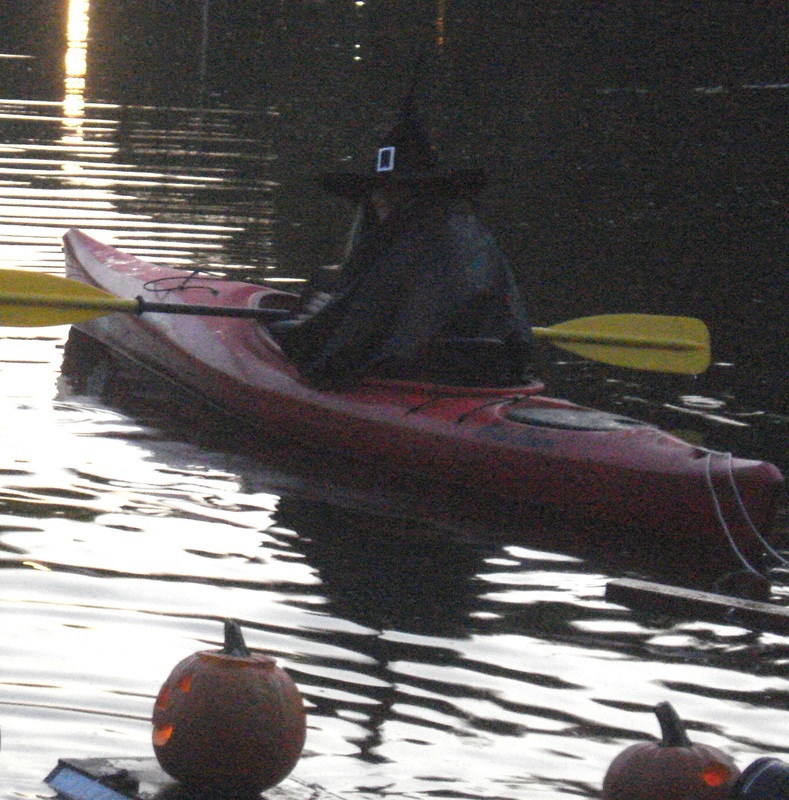 This entry was posted in Adventures and tagged central park, halloween, jack o'lantern, pumpkin sail. Bookmark the permalink. I really liked the ‘Saw Lady’ (there’s a video of her in the CNN report) – I’ve never seen music made with a saw before. 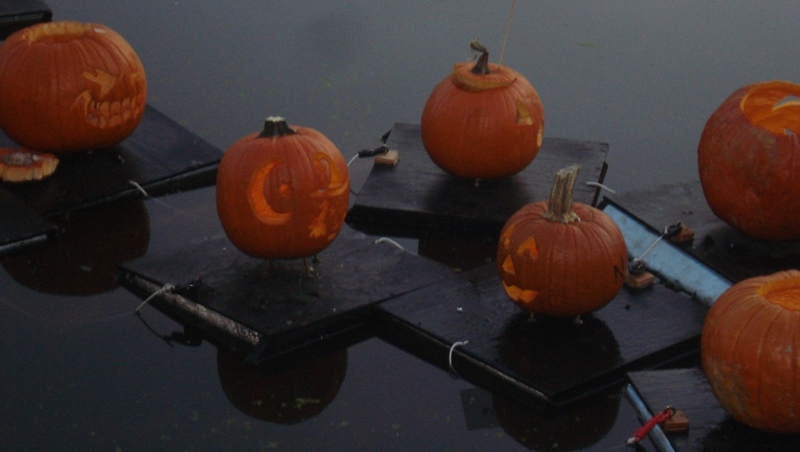 And the pumpkins were gorgeous on the water. Thank you for these beautiful photos – a nice souvenir from a nice event.